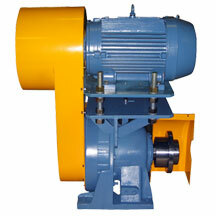 Double reduction base mount servo input precision backlash – ratio can be from 121:1 to 5,041:1. 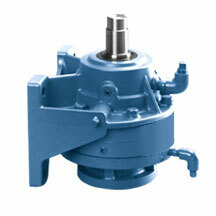 Single reduction flange mount precision backlash – unit can be mounted horizontally or vertically. 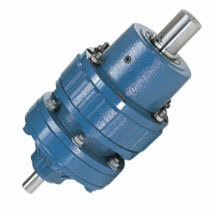 Single reduction base mount standard backlash with top mount motor adaptor – fully assembled with input fluid coupling, belt drive, output coupling, motor, and OSHA guards. 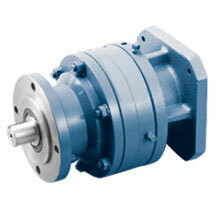 Single reduction wall mount precision backlash with special output shaft – unit is oriented for output shaft vertical up. 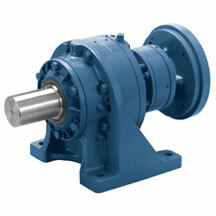 Double reduction ring mount standard backlash with grease lubrication – unit is configured with an input shaft for coupling or belt drive connection to the motor.